Alpina is a German company, which specializes in luxury cars, based on BMW models. In its work, the company focuses not only on quality Assembly supply them BMW models, but also places great emphasis on tuning, making a quality car and exclusive. BMW 3 series alpina is loved car for bmw fans. You can see BMW E36 Alpina on the photo here. 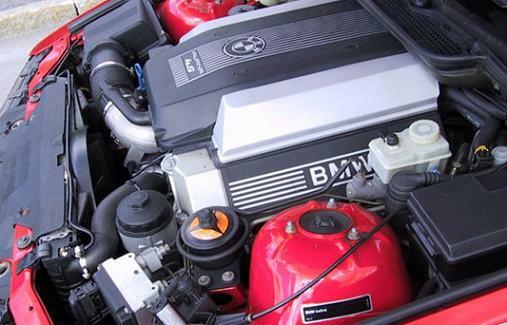 It is clear that V8 under the hood is realy seriously for e36. The company gets disassembled the engine and bodywork, and then they not only collect, but also working out the details with the help of latest technology, extending the life of the car. Internal and external finishing performed at the highest level. Cars Alpina get the salon of expensive leather, alloy wheels and eye-catching spoilers. All Alpina e36 models, completed by the "latest" technology. Despite the high cost, connoisseurs of exclusive, value models tuned by Alpina. Over its 40 years of existence Alpina from the tuning company became a brand which is admired by many.